Chemical admixtures are the ingredients in concrete other than portland cement, water, and aggregate that are added to the mix immediately before or during mixing. Producers use admixtures primarily to reduce the cost of concrete construction; to modify the properties of hardened concrete; to ensure the quality of concrete during mixing, transporting, placing, and curing; and to overcome certain emergencies during concrete operations. Successful use of admixtures depends on the use of appropriate methods of batching and concreting. Most admixtures are supplied in ready-to-use liquid form and are added to the concrete at the plant or at the jobsite. Certain admixtures, such as pigments, expansive agents, and pumping aids are used only in extremely small amounts and are usually batched by hand from premeasured containers. Water-reducing admixtures usually reduce the required water content for a concrete mixture by about 5 to 10 percent. Consequently, concrete containing a water-reducing admixture needs less water to reach a required slump than untreated concrete. The treated concrete can have a lower water-cement ratio. This usually indicates that a higher strength concrete can be produced without increasing the amount of cement. Recent advancements in admixture technology have led to the development of mid-range water reducers. These admixtures reduce water content by at least 8 percent and tend to be more stable over a wider range of temperatures. Mid-range water reducers provide more consistent setting times than standard water reducers. Retarding admixtures, which slow the setting rate of concrete, are used to counteract the accelerating effect of hot weather on concrete setting. High temperatures often cause an increased rate of hardening which makes placing and finishing difficult. Retarders keep concrete workable during placement and delay the initial set of concrete. Most retarders also function as water reducers and may entrain some air in concrete. Accelerating admixtures increase the rate of early strength development, reduce the time required for proper curing and protection, and speed up the start of finishing operations. Accelerating admixtures are especially useful for modifying the properties of concrete in cold weather. Superplasticizers, also known as plasticizers or high-range water reducers (HRWR), reduce water content by 12 to 30 percent and can be added to concrete with a low-to-normal slump and water-cement ratio to make high-slump flowing concrete. Flowing concrete is a highly fluid but workable concrete that can be placed with little or no vibration or compaction. The effect of superplasticizers lasts only 30 to 60 minutes, depending on the brand and dosage rate, and is followed by a rapid loss in workability. As a result of the slump loss, superplasticizers are usually added to concrete at the jobsite. Corrosion-inhibiting admixtures fall into the specialty admixture category and are used to slow corrosion of reinforcing steel in concrete. Corrosion inhibitors can be used as a defensive strategy for concrete structures, such as marine facilities, highway bridges, and parking garages, that will be exposed to high concentrations of chloride. 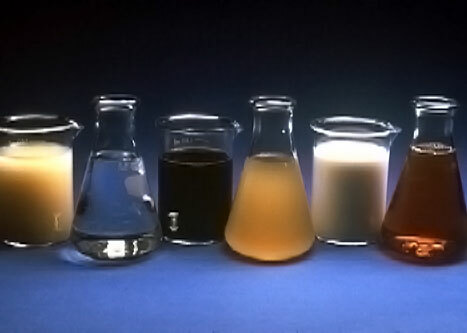 Other specialty admixtures include shrinkage-reducing admixtures and alkali-silica reactivity inhibitors. The shrinkage reducers are used to control drying shrinkage and minimize cracking, while ASR inhibitors control durability problems associated with alkali-silica reactivity. 1.2 Why Are They Used?